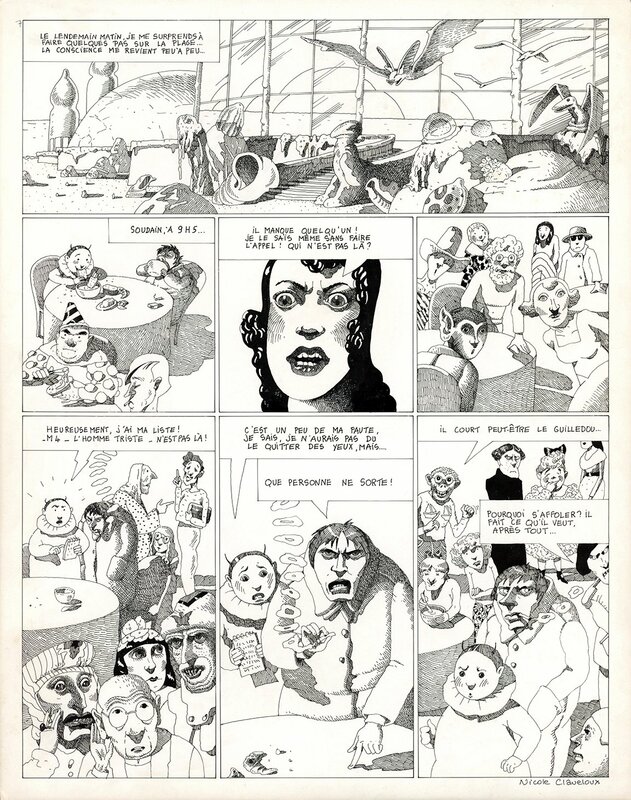 Great 1970's Metal Hurlant page from one of France's early Female cartoonists. Pen and ink on board, 13 x 16 inches. Excellent condition. Signed by Claveloux.